Sachin Singh from Bhopal, B.E. - B.Tech Graduate. 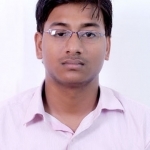 Sachin Singh is Fresher Hr Executive and currently have no work experience. HUMAN RESOURCE HUMAN RESOURCE INFOR.. MECHANICAL ENGINEERI.. HUMAN RESOURCE PLANN..
are one of expert skill area's of Sachin Singh . Sachin Singh is working in Human Resources industry.